For me, a winter-weary Northwesterner, nothing feels more welcome than warm sunshine this time of year. 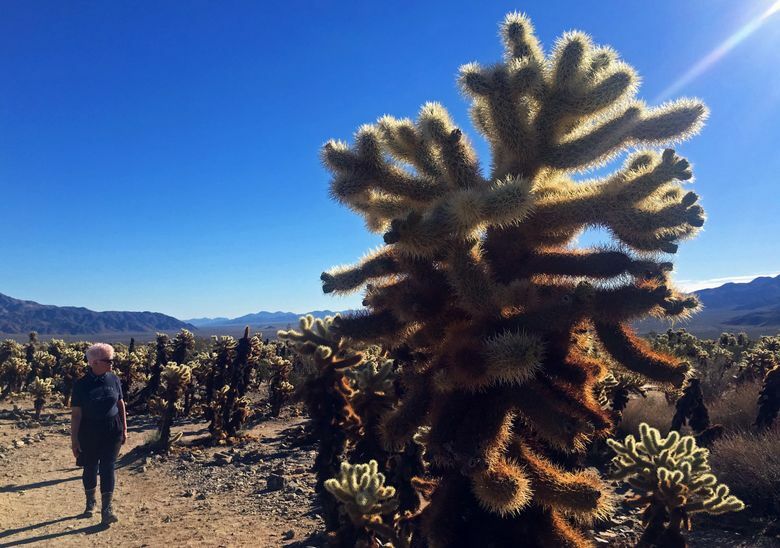 Southern California’s Joshua Tree National Park delivers on that score — and offers so much more — for anyone craving a sunny vacation in a truly special place. The exotic national park is filled with dramatic views punctuated by legions of spiky-cool Joshua trees. Giant rock faces and boulders are everywhere, making the park one of the best climbing locations in the United States. 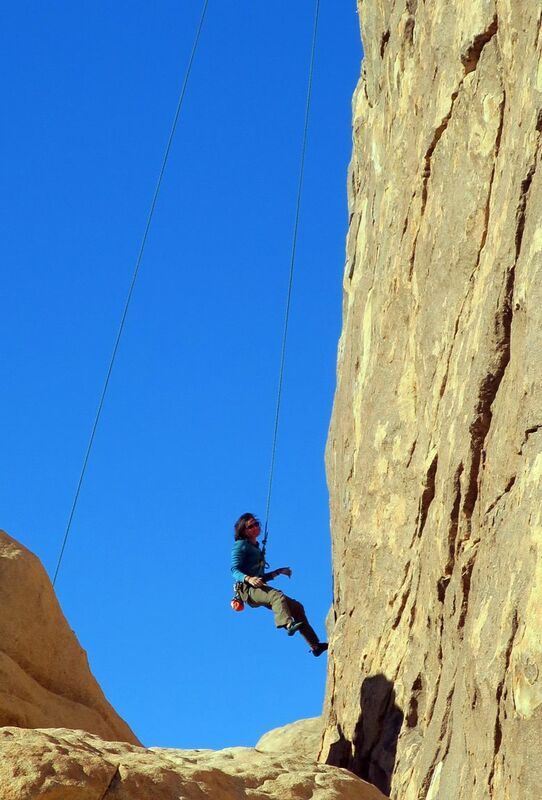 “The quality of the climbing is world class,” said Erik Kramer-Webb, co-owner of California Climbing School, one of several guiding companies that operate in Joshua Tree. But you don’t need to be a rock jock to enjoy the park. The hiking and biking are remarkably good and the camping is otherworldly. 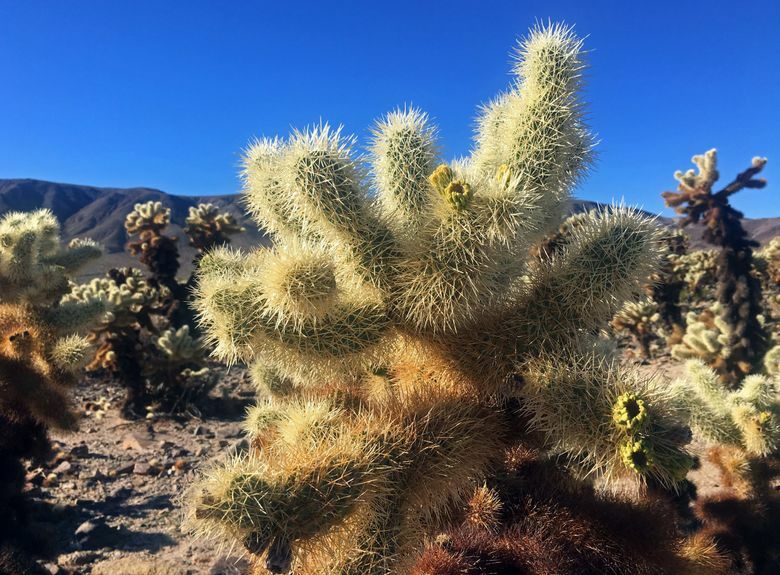 Sunshine, beauty and mystery: Joshua Tree has it all. Besides being a popular UFO-sighting location, Joshua Tree holds a special place in pop culture. U2’s iconic 1987 album “The Joshua Tree” was inspired by the desert landscape, although the band never set foot in the park. Lead singer Bono, the story goes, saw a photo of the tree and was hooked. Another musician is the subject of the most famous story about Joshua Tree. In 1973, country rocker Gram Parsons overdosed and died at the Joshua Tree Inn, just outside the park. Parsons had mentioned that he wanted to be cremated in the park, so his grieving friends came up with a bold plan while his coffin was sitting at Los Angeles International Airport awaiting transport to a family burial in Louisiana. They stole his body, took it to the park’s scenic Cap Rock area, and set it on fire. It would have made a poetic ending for a moody Hollywood biopic, but in real life they got caught — and Parsons’ body didn’t completely burn. DIY cremation isn’t that easy, it turns out. During a recent visit, I could see why Parsons loved Cap Rock. 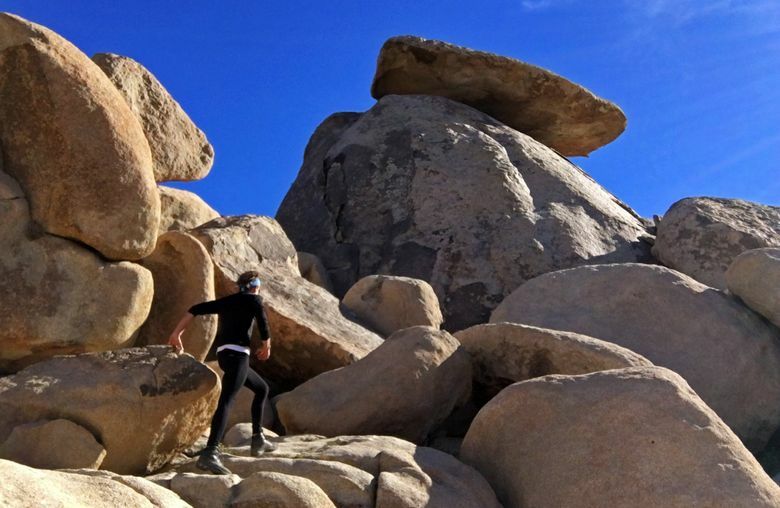 Like many rock features inside the park, Cap Rock’s jumble of monzogranite boulders sits right beside the roadside, offering easy access and inviting exploration amid a vast plain of Joshua trees. I scrambled most of the way to the top and took in the view as I imagine Parsons once had. 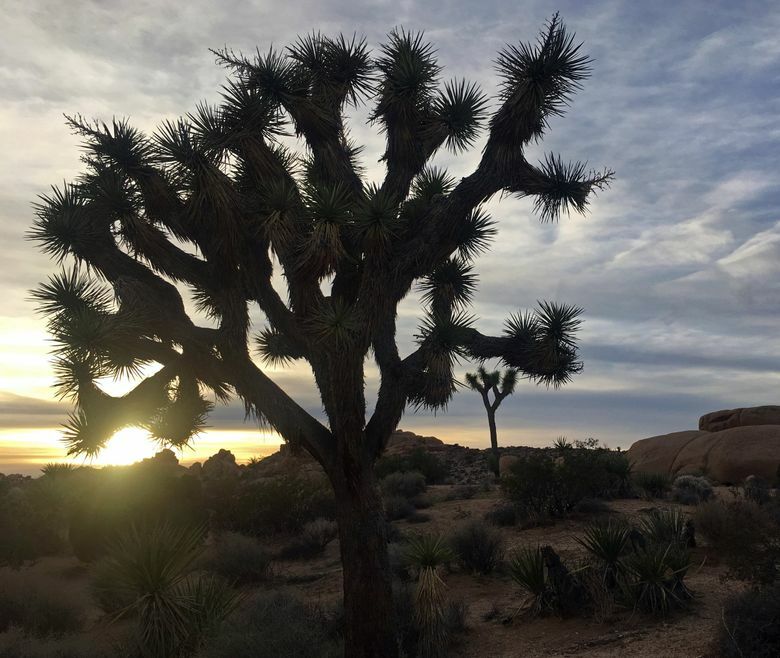 About 3 million people visit Joshua Tree every year, but the vast majority of them are “windshield tourists,” said George Land, public-information officer for the park. “If you can walk half a mile, you’ll find solitude,” he said. The road cycling at Joshua Tree is exceptional. 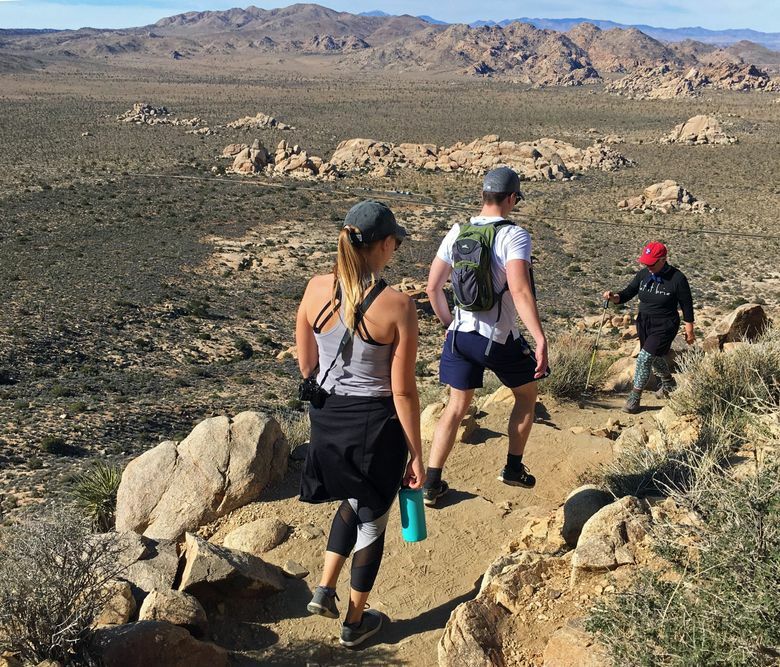 The northern part of the park is situated at about 4,000 feet in the Mojave Desert, while the southern portion descends into the Colorado Desert at about 3,000 feet. If you can start your ride at elevation in the north, you might just find yourself riding mostly downhill across the desert. I took an afternoon spin on the mostly empty midweek roadways; it was one of the most scenic rides I’ve ever experienced. If you do nothing else, spend the night in Joshua Tree. 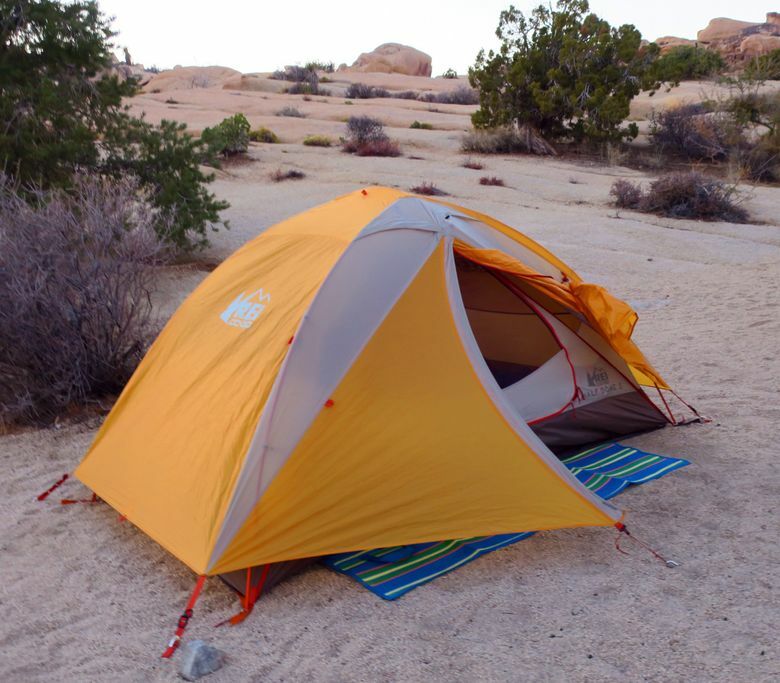 The park offers nine developed campgrounds, many set amid the park’s dramatic rocks. I stayed at Jumbo Rocks, the park’s largest campground with 124 sites. It didn’t feel that big, mainly because it’s spread out through boulders, nooks and crannies. As the sun turned the sky pink and temperatures dipped below 60, I lit a fire and waited for the skies to turn dark. Were there any UFOs out there? After a day of climbing, hiking and cycling, the night was just beginning. 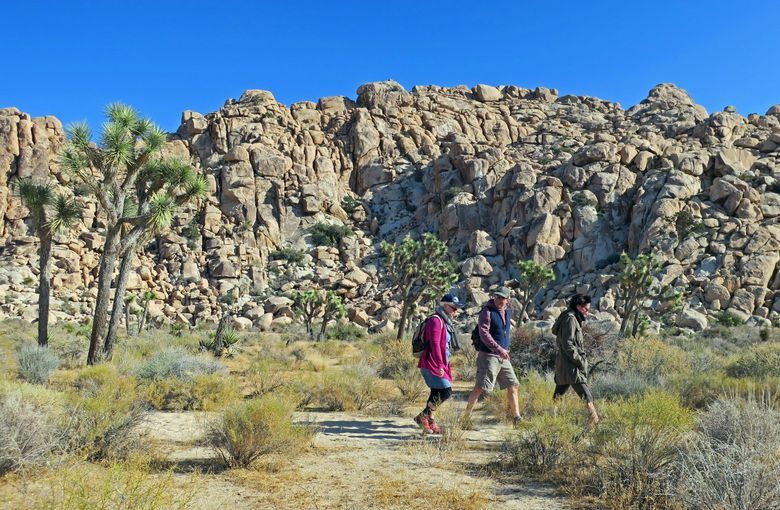 With about 3 million annual visitors, Joshua Tree National Park can be busy. The park is about 130 miles from Los Angeles and 164 miles from San Diego. Come during the week. Weekends and holidays are jammed. 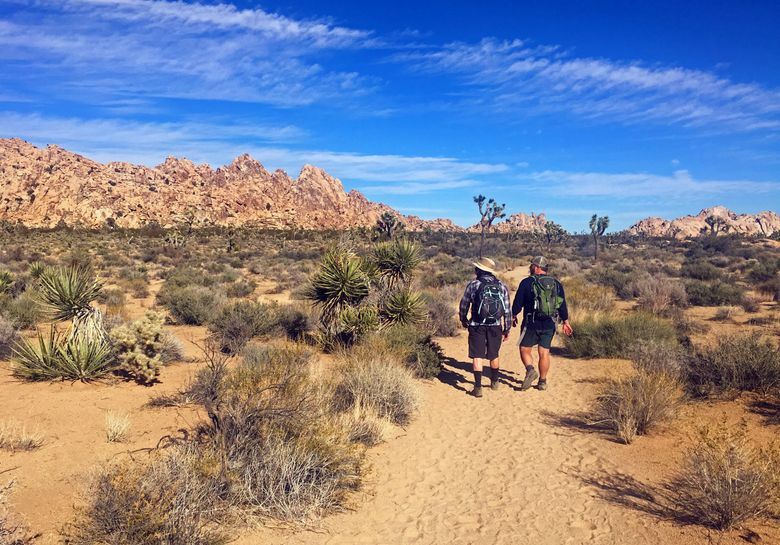 “On weekdays, you’ll have a lot less traffic and a lot better chance of finding a campsite,” said George Land, public-information officer for Joshua Tree. Come early. Get to the park at sunrise and you’ll miss the rush. Get reservations. Four of the campgrounds — Black Rock, Jumbo Rocks, Indian Cove and Cottonwood — can be reserved at Recreation.gov. 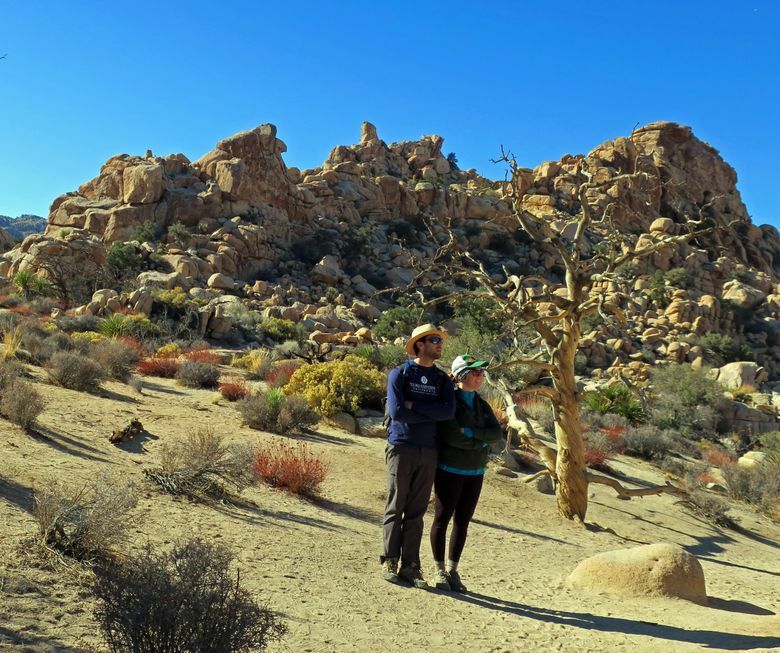 Just outside the park, the communities of 29 Palms, Joshua Tree and Yucca Valley offer a number of lodging options. The sunny havens Palm Springs and Palm Desert are about an hour’s drive away.